Bios Srl is a Control and Certification Body of organic productions produced complying with EU Regulations authorized by Italian and Rumanian Ministry of Agricultural and accredited by Accredia. 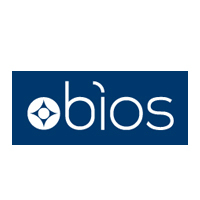 Bios Srl operates since 1999 all over Italy and Romania with a local office in Bucarest. Our accreditation includes all the applicable organic production scopes (field productions, wild crops, handling activities, import, wine making and aquaculture) – we may also offer GLOBALG.A.P. (Fruits and Vegetables) control and certification service and traceability in food suply chain according to UNI EN ISO 22005:2008 – we also operates Bio Suisse and IBD inspections. All our personnel (both internal and external) undergoes continual trainings on internal inspection and certification procedures, technical and normative updates in a way to address all inspection and certification questions and issues from a “global” point of view. With more than 70 Inspectors in Italy and more than 10 in Romania, we may assure a complete and qualified control activity both in Italy and Romania – know how, competence and riliability make Bios Srl your reliable partner for food certifications.